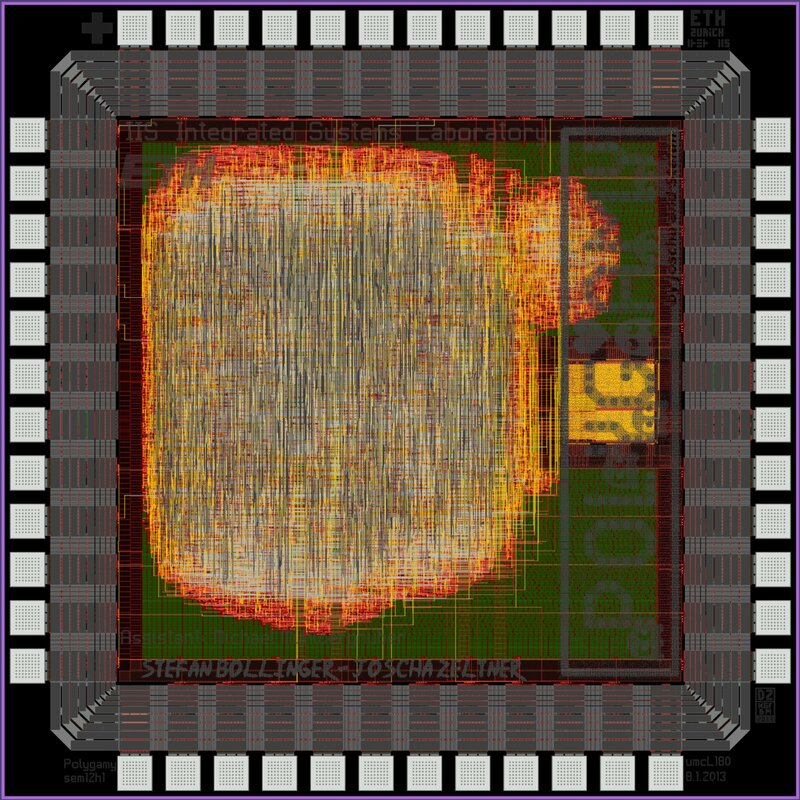 The chip implements a generic processing core for NIST-B233 ECC curves. Although the design is only 40kGE, notice the large area and the routing overhead. This is due to the many large width multiplexers needed for the design. The logo features the ghosts from the PAC-MAN game. The name also stems from the polynomial (that was used for the ECC curve). 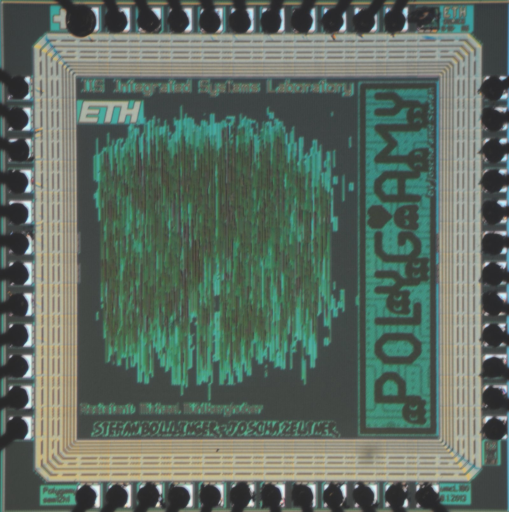 The chip was originally intended to be named Polygam, german word for Polygamy. During registration, the name was entered in English, and that is why it is listed here under this name.